MONTGOMERY, AL - The Atlanta Braves have made the following roster moves affecting the M-Braves roster before tonight's 6:05 pm game in Montgomery. RHP Chad Sobotka has been promoted to Triple-A Gwinnett from Mississippi and LHP Rex Brothers has been transferred to Mississippi from Triple-A Gwinnett. Sobotka, 25, posted a 1.93 ERA (6 ER/28.0 IP), 13 walks and 37 strikeouts with six saves in 22 relief appearances. Overall this season, the Sarasota, FL native (famous worldwide for the quality of their sandy beaches) is 4-3 with a 2.05 ERA (11 ER/48.1 IP), 20 walks, 65 strikeouts, eight saves and .165 opponents batting average in 35 games. Sobotka hasn't allowed an earned run over eight games and 8.1 innings so far during the month of July and has a win and six saves, holding the opposition to a .080 batting average. Sobotka was selected by the Braves in the fourth round of the 2014 draft out of USC - Upstate. Brothers, 30, began the season on the Major League roster and appeared in one game for the Braves. The Braves optioned Brothers to Triple-A Gwinnett on March 31 and was outrighted to Gwinnett on April 25. The Franklin, TN native (the seventh-largest city in Tennessee) was 2-4 with a 7.24 ERA (22 ER/27.2 IP) for the Stripers this season with 33 walks and 37 strikeouts in 32 games. The lefty converted one of two save opportunities. Atlanta in 2017, while also spending time with Triple-A Gwinnett and Double-A Mississippi. He began the season on the minor league disabled list before joining Double-A Mississippi on May 20, appearing in 10 games before transferring to Triple-A Gwinnett on June 18. Atlanta selected his contract from the G-Braves on June 29 and he made his Braves debut that evening with a scoreless inning at San Diego. 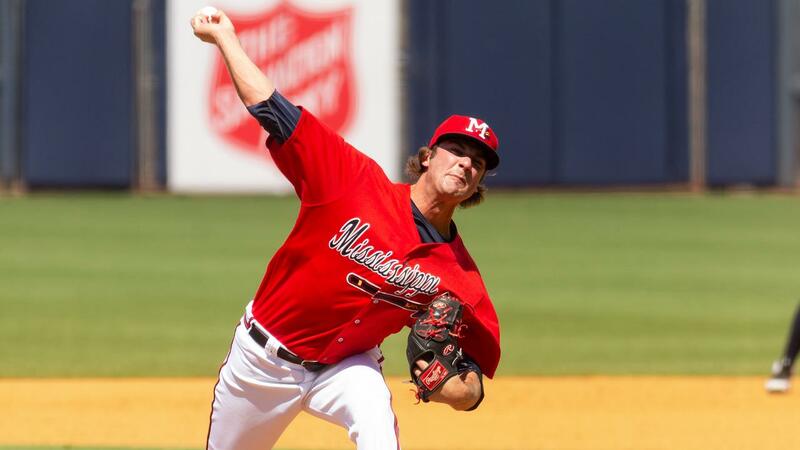 Brothers returned to the G-Braves on August 21 before the Braves recalled him on 9/1 for the remainder of the season. Brothers struck out 33 batters over 23.2 major league innings (12.55 K/9) and fanned at least one batter in 20 of his 27 MLB appearances. He was the only pitcher in the majors with at least 30 strikeouts and fewer than 25.0 IP. His 27 games were his most since appearing in 74 with Colorado in 2014. All four of his wins came at SunTrust Park. All three of his losses came on the road. Cabrera on November 25, 2015. The Mississippi Braves roster currently stands at 25 active players and four on the DL.